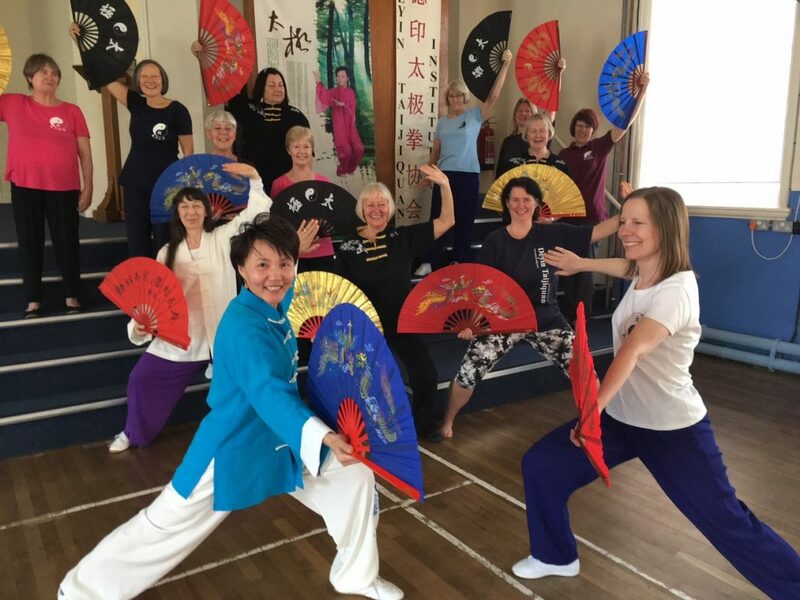 For the second year in a row Master Faye Yip of the Deyin Institute came to Liverpool to deliver a top class session in the Taiji Kungfu Fan routine. Last year we were treated to in depth instruction in parts 1 – 4 and this year we continued the training in parts 5 and 6. The morning session worked on part 5 and we were taken through our paces with plenty of tips, explanations and demonstrations followed by lots of practice and corrections. The afternoon continued in the same vain with part 6 and concluded with a run through of the whole form with the music. Always a popular end to a FANtastic day! If anyone is interested in learning this dynamic form then please complete a contact form on the website.